Kudzu bugs are little brown bugs that may invade a home for the winter. This article will provide some general information on where they came from and how you can control local infestations. Kudzu bugs are being reported throughout the southeast and have made the “invasive species” list for many states. This means they’re prolific, problematic and have some kind of economic impact. Known as the Bean Plataspid, kudzu bugs are native to India and China. The kudzu bug’s scientific name is Megacopta cribraria and in it’s home country, they thrive on just about any plant commonly found in the yard or garden but seem especially fond of kudzu. Not surprisingly, states with abundant supplies of kudzu seem to have the most activity. Since kudzu bugs overwinter or hibernate when it gets cold, they seek safe harborage for the winter on anything warm they can find. Houses make excellent places of refuge which is why so many homeowners are seeing them. Expect to see them begin accumulating anytime between spring and fall. To keep them off the house, treat the siding of the home with CYPERMETHRIN. It work’s fast and should knock out the activity immediately. Cypermethrin is highly repellent which should keep them away and off the home for several weeks. Retreat as needed which will probably be a couple of times a month. This could be needed anytime from March through November. An organic alternative would be BUG PATROL. Labeled for use in the yard for plants and turf, it comes packaged in a handy “ready to spray” container so you only need to hook it to your garden hose and get to work with no mixing required. 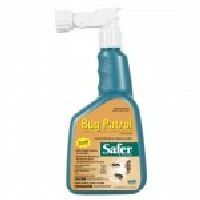 Bug Patrol isn’t as strong as the Cypermethrin so expect to treat more frequently if you choose this option. Lastly, if you’re finding them in your vegetable garden, go with the best organic option we know called MULTI PURPOSE INSECT KILLER. It’s safe enough to use daily if needed but in general, 1-2 treatments will take care of kudzu bugs for at least a few weeks. 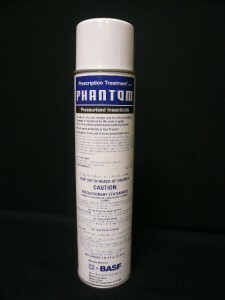 If you start seeing inside the home, treat with PHANTOM AEROSOL. Phantom is odorless and goes on “dry” making it a good product for use in the home. It comes with a crack and crevice straw making it ideally suited for treating small cracks where kudzu bugs like to hide. Direct treatments to baseboard molding, door frames and around windows where they may be entering should be made. Retreat as needed which may be 1-2 a month until the invasion subsides. One important feature of Phantom is that it doesn’t work quickly. In other words, it’s not a contact killer. Instead of killing any you spray, the chemical will actually take 2-3 days to kill targeted insects. But don’t worry; this is very much by design. By taking this long to work, the active ingredient in Phantom will have a chance to “spread” to other members. This is particularly helpful – especially since kudzu bugs like to congregate in great masses. So even if just one bug contacts the Phantom treatment, once it gets back to its group it can infect hundreds within 1-2 days so that when the active finally kicks in and “activates”, they will all die. Kudzu bugs are a relatively new pest here in the United States but they appear to be here to stay. To keep your home bug free, treat the outside before they get it scented and marked which will no doubt attract more.